I’m so excited to share this recipe with you that I could hardly wait 🙂 . 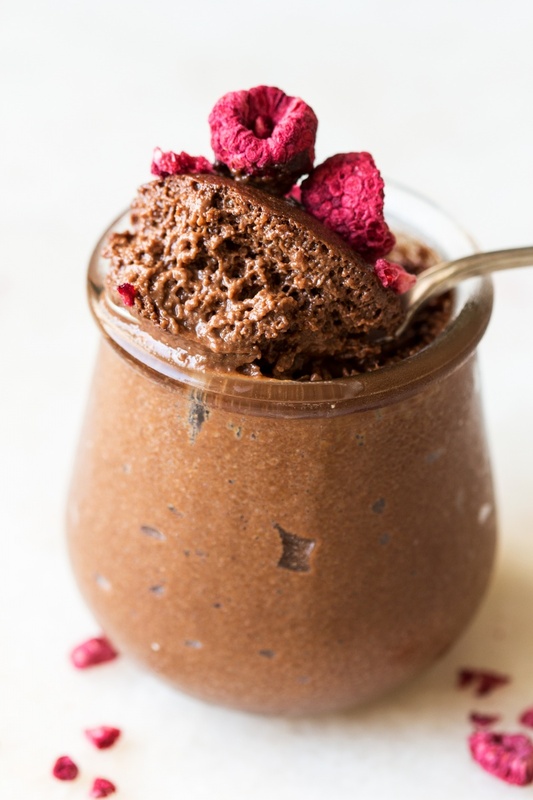 When I set out to attempt this – no chocolate, no sugar – aquafaba-based vegan mousse, I was pretty sure it would be a massive fail and the only consolation was that I could simply freeze the collapsed leftovers and have it as ice-cream when the desire for something sweet strikes me all of a sudden. I made it in the evening and chilled it in the fridge overnight. I was so surprised to wake up the next day and find the mousse to be perfectly airy and fluffy. I had to try it immediately even though I never eat sweet stuff until after lunch. The taste test confirmed that the flavours needed more tweaking, but I knew I was onto something special, something I have not seen done before. Even Duncan, who was very sceptical at first, grew really keen by the time I was done with it. This mousse is light and airy and has a rich chocolate hazelnut flavour, inspired by my recent Ferrero Rocher recipe, which so many of you liked. It also happens to make really nice vegan ice-cream 🙂 . I feel I need to say something about the recipe title. I really struggled with finding a name that does this creation justice. 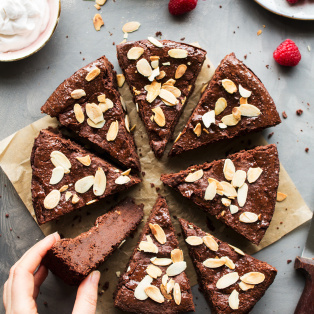 While it isn’t a diet food, it is a way healthier alternative to the classic aquafaba-based mousses out there as it uses only whole food ingredients that wouldn’t be amiss in a breakfast smoothie bowl, for example. At the same time, it tastes rather indulgent and if I didn’t tell you what’s in it you would never guess that it’s based on a sweet potato and a nut butter. 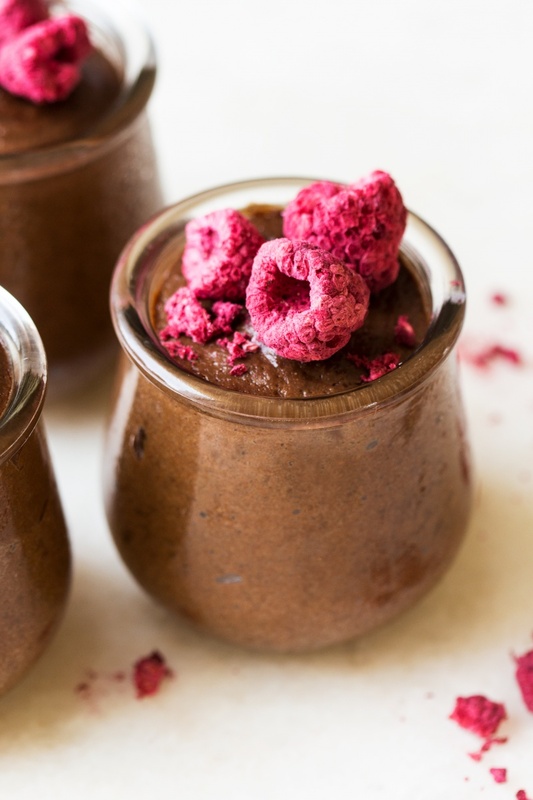 When we released a video to accompany our original chocolate mousse recipe, it became clear to us that many of you would rather see an even healthier version of this vegan dessert. 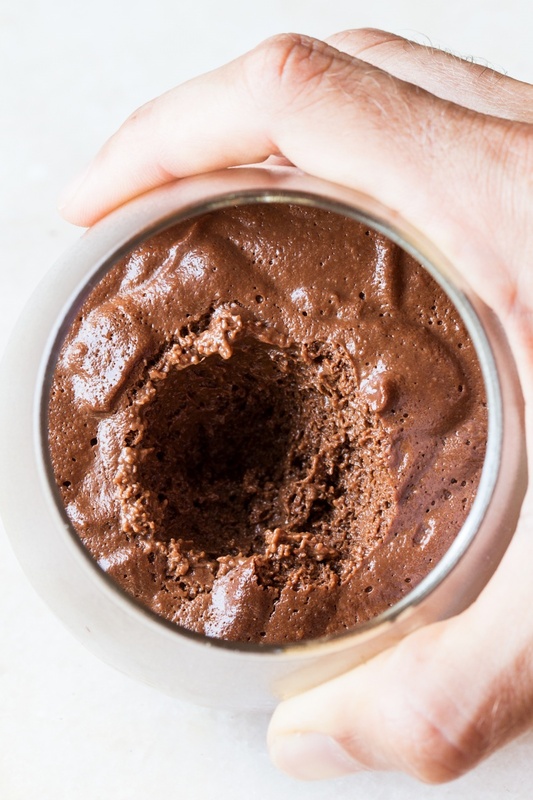 At the time, I was convinced that it couldn’t be done – I didn’t think that cacao powder and aquafaba could work successfully together as cacao powder was known to turn stiff aquafaba into a chocolatey puddle. Well, perhaps it’s the combination of ingredients or the order in which they are added to the aquafaba, I thought. My head was suddenly awash with ideas and I had to give it a go. I went for a delicious combo of smooth nut butter and sweet potato mash as I knew the flavours will work with chocolate not against it. They work so well in fact that the end result had me skipping for joy and I hope it will put a big smile on your face too. Once I cracked the recipe, the only remaining challenge was to be able to photograph this puppy well enough to convert the sceptics, as I’m sure that some of you may be scrunching their noses up at the very concept. Don’t dismiss it before trying, please – Duncan wasn’t at all keen on my first attempt and now I have him fighting me for photoshoot leftovers 😉 . The trouble with photographing this puppy was that we are currently bang in the middle of a week long heatwave with temperatures reaching 43° C (109° F) and as soon as I took a perfectly airy teaspoon of the mousse out of the glass, it melted right in front of my eyes. A single photo of the mousses texture took me almost 2 days to take. So if you want to enjoy the airy texture of this puppy, don’t take a leaf out of my book and refrain from making this dessert on the hottest day of the year 🙂 . PS: If you make my healthy vegan chocolate mousse, don’t forget to tag me on Instagram as @lazycatkitchen and use the #lazycatkitchen hashtag. I love seeing your takes on my recipes! To cook your sweet potato, set up a bamboo steamer over a pot of gently simmering water. Slice your potato into 1.5 cm / 0.5 ” slices and steam for about 20 minutes (until very tender). Cool before proceeding. Place cooked (peeled) sweet potato and hazelnut butter in a food processor. Process until very smooth and well combined, then add cacao powder and process until smooth. If you want to sweeten the mousse with dates, process the dates and sweet potato first, then add hazelnut butter and cacao. Please be aware that dates won’t produce an end result quite as smooth as with maple syrup. If using maple syrup, add maple syrup to the sweet potato, cacao and nut butter mixture. Process until smooth. Place aquafaba in a clean (that’s very important as any grease residue will prevent aquafaba from foaming) glass or metal bowl. Add vinegar (or lemon juice). Whip it until you achieve stiff peaks – you should be able to invert the bowl and the whipped aquafaba should not budge an inch, if it does it means that it hasn’t been whipped enough. Fold whipped aquafaba into the chocolate mixture until the two are well incorporated. The mixture will deflate a fair bit, don’t worry, that’s normal. Spoon the mixture between 4 small glasses (my ramekins hold 180 ml / ¾ cup each) and place in the fridge for 8 hours (or overnight) for the mousse to set. *Smooth almond or peanut butters would work well too. If using homemade nut butter, you may be able to detect tiny particles of ground nuts in the final product. 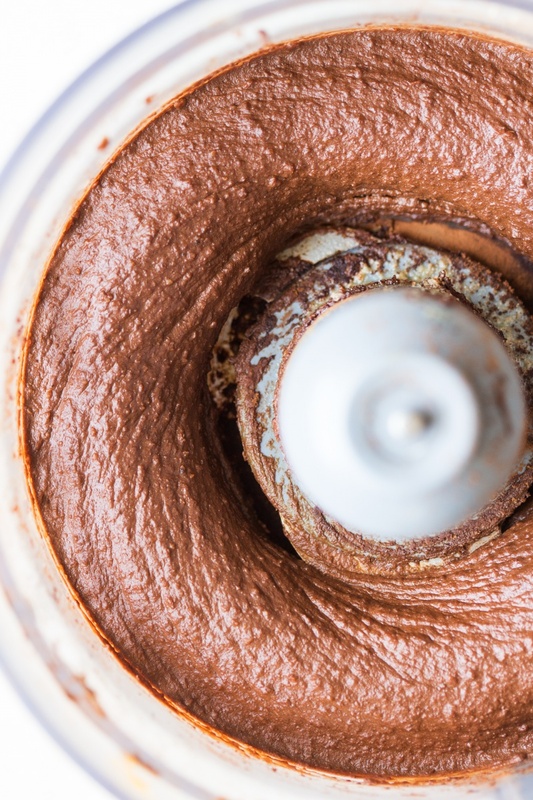 For best results, make sure your nut butter is super smooth. **Instead of maple syrup, you could also use softened dates (amount to taste) processed with the sweet potato mixture, but this will result in a mousse that is less smooth as dates are quite fibrous. 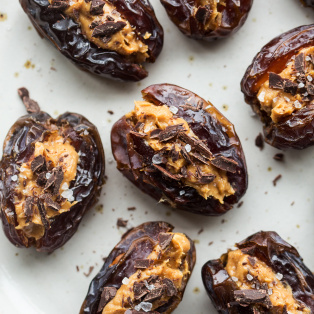 To soften dates, plunge them in boiling water for 20 minutes, squeeze the excess water out and process with cooked sweet potato until smooth, before adding nut butter and cacao and processing some more. Zaglosowalam, mam nadzieje ze wygracie. Dziekuje za wspaniale przepisy!!! Because who doesn’t like to say AQUAFABA!? 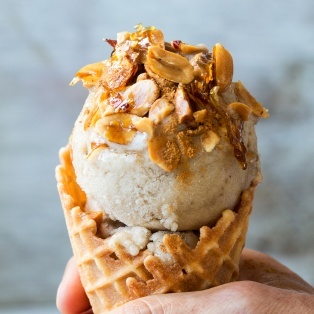 Best part for me right now is all ingredients are on hand…I guess I HAVE to make this!! The texture of this is beautiful considering it contains sweet potato! You would never have guessed. 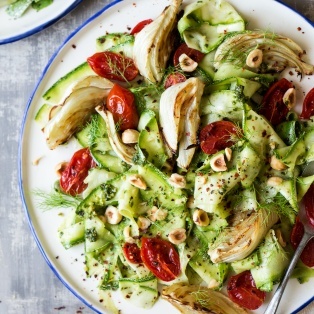 I’m bookmarking this for a later date, with the start of summer I’ve been over indulging on ice-cream and dessert so itll be good to have a healthier version to fall back on! Ps: I entered you in the contest yesterday – good luck! As for the mousse, I will tell you what Duncan tells me: ‘patience grasshopper’ when I’m fretting that something hasn’t yet set the way I was expecting 😉 give it more time! I didn’t reduce my AF for this application at all, but I did whip it so stiff that I was able to invert the bowl over my head and it didn’t even budge a millimetre. Hope you’ll be happy with the result. This was amazing! My daughter helped me make it; it was the first time either of us ever made aquafaba and we were amazed. The flavor and texture were out of this world!!! 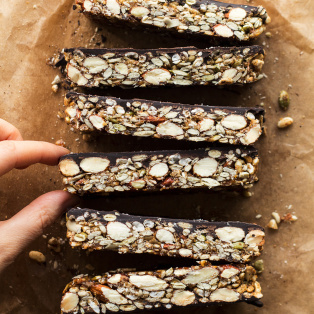 Hey 🙂 Could I use carob powder instead of cacao powder? And if I use lemon juice instead of apple cider winegar, should I still use 1/2 tablespoon? I’ve tried it with carob powder. Worked just fine 🙂 It was very delicious! Would a flax egg work instead of the aquafaba? 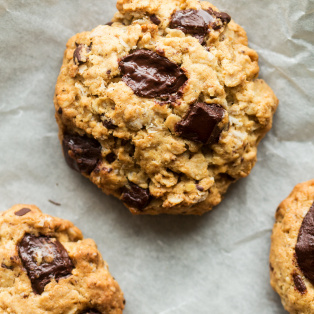 My daughter just tried this tonight and we used smooth peanut butter but we felt the chocolate mixture was maybe too thick as we did n’t get quite the light fluffiness that yours seems to have. Not sure if you have any thoughts on that? She had stiff peaks with the aquafaba … I made sure of that. But I definitely got vigorous mixing in the chocolate mixture (she was getting a sore arm) … because it was thick. Next time we’ll try with slow and gentle 🙂 Thanks for the help! Loving aquafaba at the moment. I use cream of tartar. I haven’t tried lemon juice. Loved the chocolate mouse! Thanks for sharing the recipe. I want to try this recipe but don’t eat sweet potatoes, could I use any alternatives to replace it?